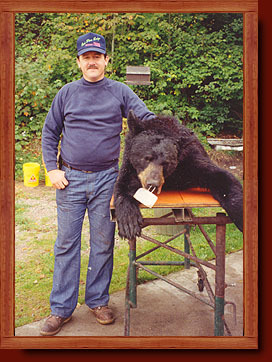 "Experience Hunting at it's Best"
With over 25 years of service, we have built a reputation of being one of the best Black Bear hunting camps in Ontario. 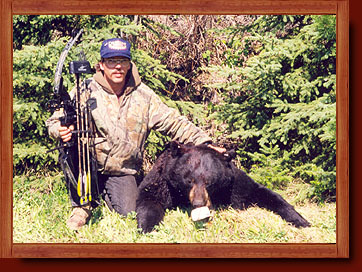 Our experienced guides will ensure your hunt will be a memorable one. In the past few years our hunting guests have enjoyed a 75-80% success rate with an almost 100% sighting rate. We hunt over baits, which are placed out in the deep bush well in advance of our hunter's arrival. 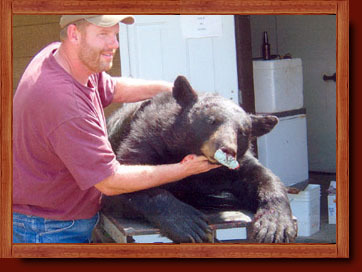 Baits are maintained daily to insure a successful hunt. The baits are set up for either rifle or bow hunters with both ground blinds and tree stands. We have portable stands available or you can bring your own. Shooting distance is from 12-75 yards. We have in excess of 100 baits and all baits are at least 1 mile apart including some that are easily accessible for people with physical limitations. 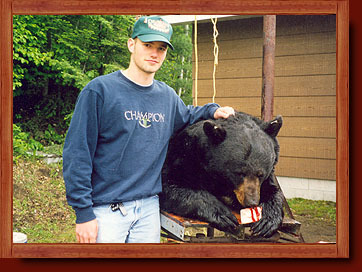 Black Bears in Northern Ontario on average weigh approximately 175 pounds but many old dominant males over 300 pounds with a few close to 400 pounds have been harvested. 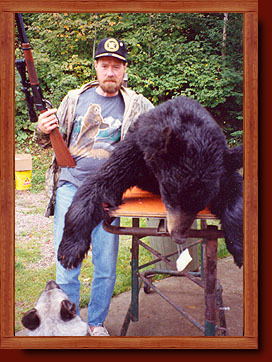 In 2005, an unbelievable 1000 pound Black Bear was hit and killed by a transport truck on Highway 101.